One of Gentle Spirits windchimes remarkably popular colors. Majesty Bells Gentle Spirits offers the same combination of excellence in design with centrally suspended heavy-walled aluminum tubes and a very high density striker to produce incredible tones and resonance as our Corinthian Bells and Bells Of Vienna. 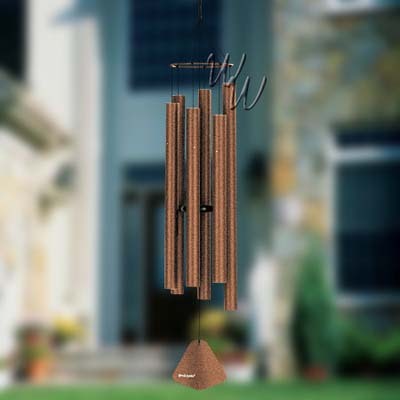 The tubes are suspended on durable synthetic nylon cords, and powder coated to match the top ring cap and wind sail, giving a complete finished look to the chime. Majesty Bells Gentle Spirits are available in ten sizes, with each size available in four to eight colors. (not tube length)- hanging ring to the end of the wind sail. This chime is 55" long.